Another scene from a hospital; another shot I probably had no right to take. But took, anyway, because the list of so-called forbidden subjects is long, and my storyteller's voice has always focused on the stories that never get told. There's a sadness that pervades this place. As much as this is an institution that performs medical miracles every day and restores hope, it is also one that cares for those in the final stages of life, for whom there is little hope. On this day, everywhere I looked, that's all I saw. 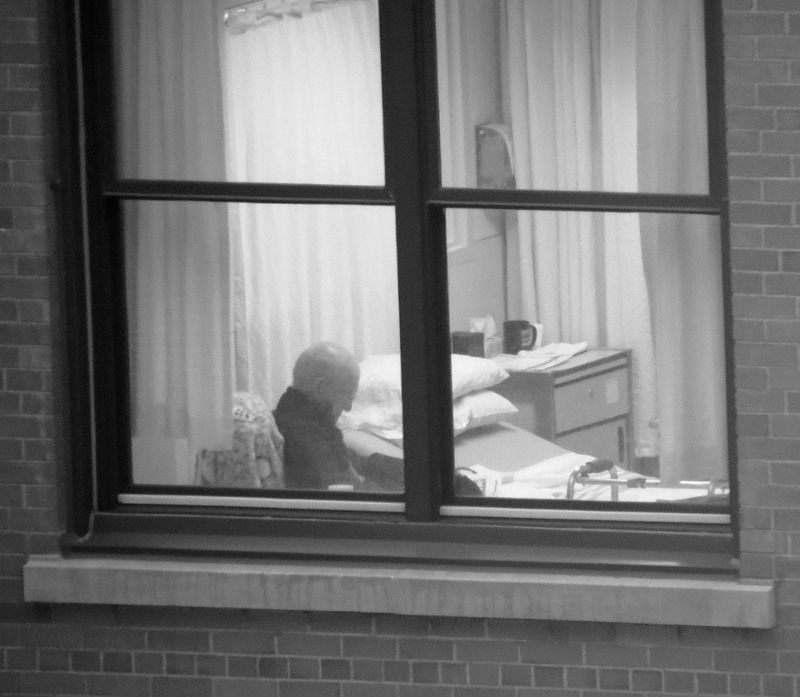 Lives lived in an endless veil of tests, procedures, perpetual waiting, solitude, gloom. No miracles or hope in sight. At one point, as I walked the corridors on the way back from a work session in the atrium, I couldn't find one smile over the entire journey. The scene in the window across the inner courtyard seemed to sum up what it felt like to be here, alone, cast to the margins, with no hope of ever returning to the life that once was. Perhaps I was just having a bad day, but that's how it felt in the moment, and nothing I had seen, heard, or felt that day, or that entire stretch of days, could convince me otherwise. 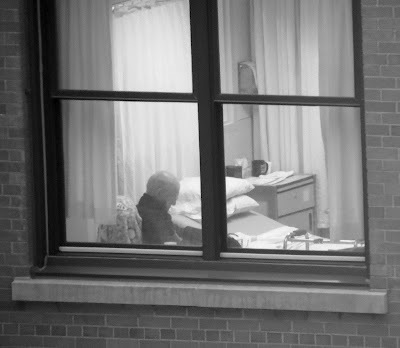 As I peered into the distance and focused on this single patient in the dimly lit window, I imagined he felt the same way. You need to read Tuesdays With Morrie"by MItch Alborn. it is the way I want to go.